Find all the best sights and hidden gems in your city with your kids, friends, or family! Grab your date, your friends, your kids, or even your dentist and come explore with us! Great for small groups of 1-10 or large corporate events. You can do the scavenger hunt anytime between 7am and 11pm. No need for a reservation for groups smaller than 20. Whether you're just visiting or lived there your whole life, you will discover new things about your city and the people in your group. 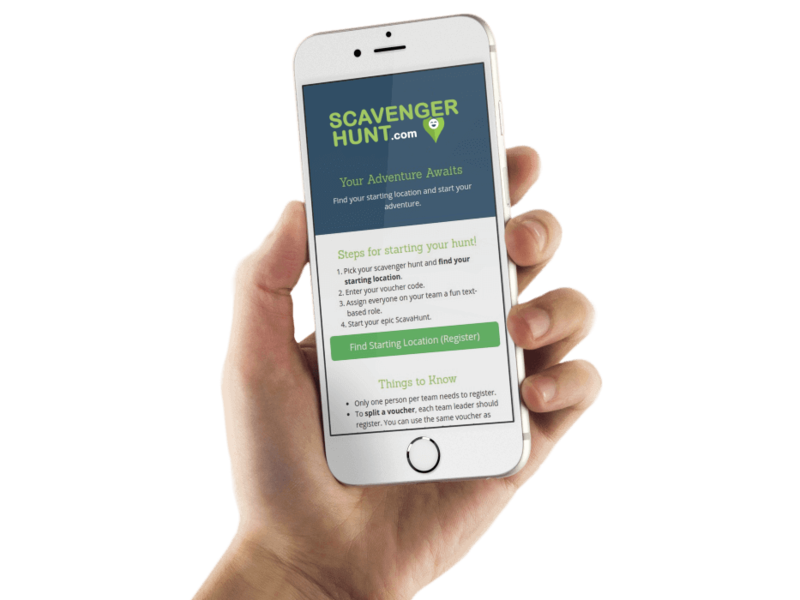 With scavenger hunts in 200+ locations, we’ve got you covered on your next trip to Australia, Hawaii, Europe, Iceland or anywhere else! Our tickets work at any of our 200+ locations, so you have flexibility to use it where you want. When you're ready to start just register for your specific location and have fun! Each person will have an interactive role that will have them do photo challenges and fun activities with the rest of the team. Upgrade your roles to have a more customized experience. Perfect for new couples or old lovers. Our date night roles are designed to help couples connect better with each other through themed photo challenges and activities. Make a team building event for your next corporate outing to help build an amazing team! Choose from one of our roles that match your group type. Other Upgrades for birthday, bachelorette, or team building scavenger hunts take it to the next level! Give an experience and create new memories!